Camp for €20,- a night at Campsite Woodlands in low season with CampingCard ACSI. 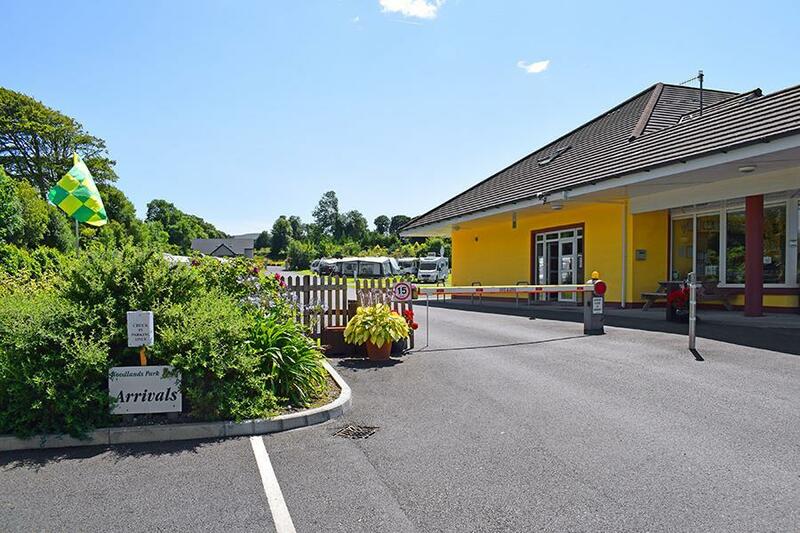 Campsite Woodlands, located in Tralee (Munster), is a campsite with 135 touring pitches. With your CampingCard ACSI you can camp on one of the pitches during the following periods: 01-03-2019 - 15-03-2019, 18-03-2019 - 18-04-2019, 22-04-2019 - 02-05-2019, 06-05-2019 - 30-05-2019, 03-06-2019 - 23-06-2019 and 01-09-2019 - 24-10-2019. At this campsite you can not only use your CampingCard ACSI for inexpensive camping, you can also use your ACSI Club ID (as an alternative ID). A well maintained and attractive town campsite with views of the woods. Within walking distance of Ireland's largest Aquadome which is open each day until 10:00 pm (large discounts for campsite guests, almost 50%). This site is really well located for the town and has been thoughtfully laid out. It was quite busy whilst we were there which was probably due to the festival in the park. There was a good atmosphere on the site with organised activities for the children. There was a good range of facilities which even included herbs that you could use although the shower and toilet block was a bit dated. It was all kept clean and was well maintained. Would you like to book Campsite Woodlands or request more information? You can do both using the information below. The campsite is on the N86 Tralee-Dingle, 0.5 km south of Tralee and is also signposted on the N22 from Killarney. CampingCard ACSI will send your information request to "Campsite Woodlands".